Double the fun Pullip dolls involving sisters are always an entertaining theme to explore. And Groove wants you to join in on the fun in May 2016 with their latest release of a pair of sweethearts named CALLIE & CASSIE. 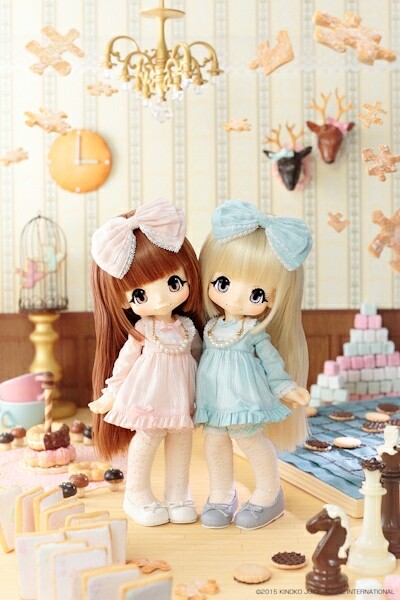 Callie (Pink) and Cassie (Blue) are part of the Creators Label Collaboration which showcases dolls designed by talented customizers in the doll community. Happydolly/Memento created the 2 dolls that you see before you. 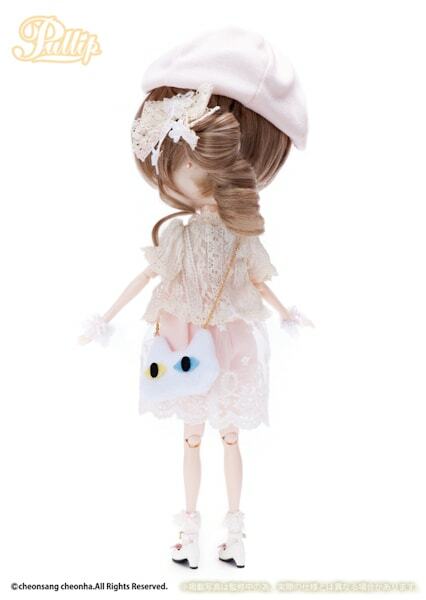 You may remember the name Happydolly/Memento, because they created the cutie named Isul Glen who was released December 2013. 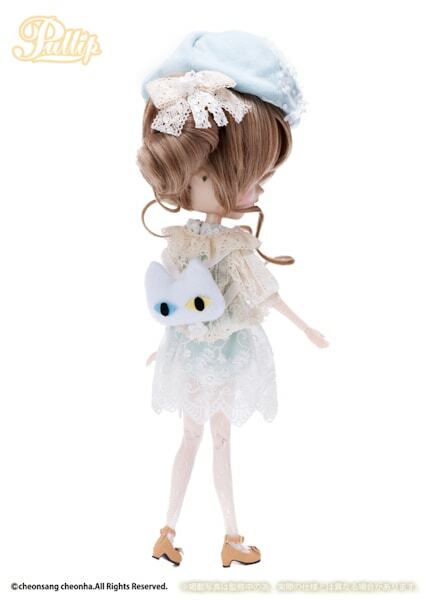 And now Happydolly/Memento will present collectors around the world with an angelic duo. 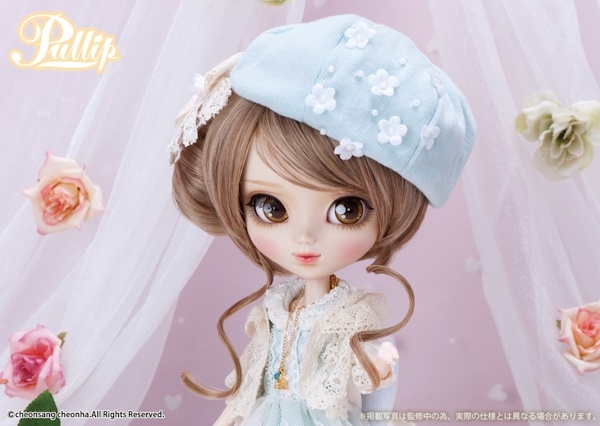 When I saw the photos I couldn't help but to think about Azone's 2nd Release KIKIPOP 2 Romantic Frill Sugar. CALLIE & CASSIE are wearing the same colors as KIKIPOP and both are ultra girly. Callie and Cassie look like stylish girls who love shopping and wearing the latest trends. The makeup is breathtaking and my eyes are drawn to their full lips. The baby doll dress is cute but I wish Groove would've chosen a higher quality material. Luckily that's an easy and fun fix . 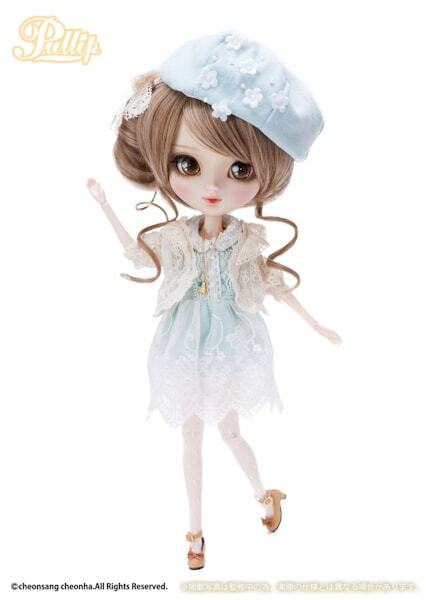 . . purchase new dolly clothes! 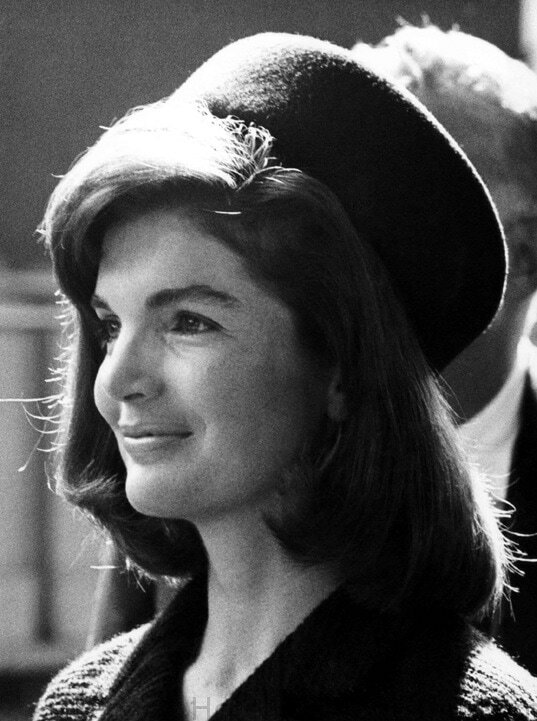 Also their hat resembles the Pillbox hat that Jackie Kennedy Onassis made oh so fashionable. It would've been great if each girl had a noticeable difference between the two. 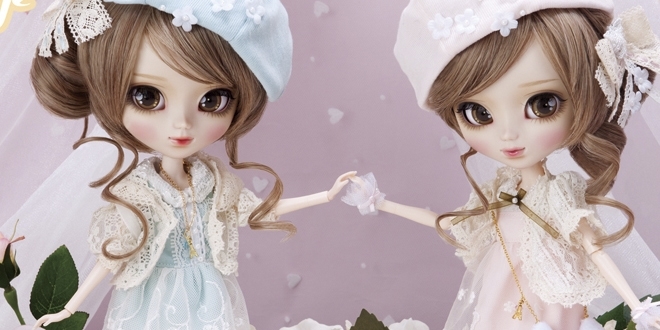 Did this double Pullip reveal make you excited and do you have plans on purchasing them? If not, what about these girls would you change?